HomeWorldThis City Once Made Much of What Canada Bought. But No More. January 21, 2018 Paul World Comments Off on This City Once Made Much of What Canada Bought. But No More. But Mr. Corp nevertheless contrasted the promises of prosperity made in 1989, when Canada signed a trade deal with the United States that became Nafta, with the pending G.E. shutdown and Peterborough’s unemployment rate, which spiked at 9.6 percent last summer, Canada’s highest at the time. His views about Nafta — for which the latest round of talks begins in Montreal on Tuesday — echo those of labor leaders in declining industrial communities in the United States. The river in Peterborough. The city has had to reinvent itself amid the closing of many plants. Peterborough isn’t an isolated example among industrial communities in Ontario. The Mowat Institute, a research organization focused on the province, calculates that between 2000 and 2011, Ontario as a whole lost about 300,000 manufacturing jobs. 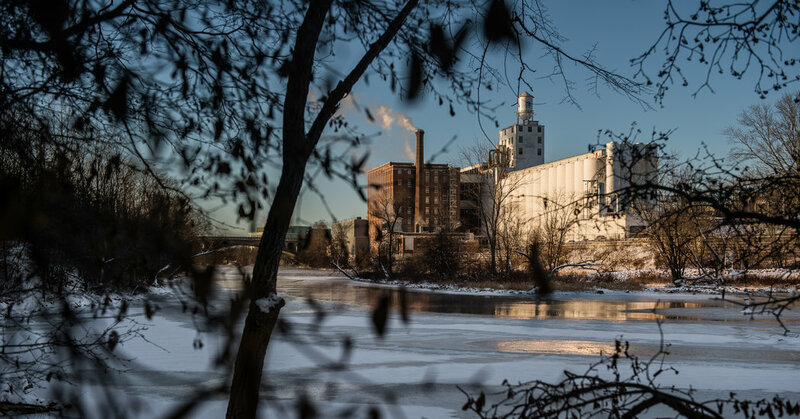 Those that remain are concentrated in food processing — Peterborough has both Quaker Oats and Minute Maid juice plants — and in production of cars and car parts, a sector that was never dominant in this city. But Peterborough doesn’t fit the image of a down-at-the-heels Rust Belt town. It sits at the heart of a spectacular series of lakes that draw vacationers from urban centers like Toronto. A canal popular with recreational boaters winds through the city and raises boats 65 feet in a massive lift lock, an aquatic elevator that has become a local landmark. North of town, the campus of Trent University is widely considered one of Canada’s most important collections of mid-20th-century architecture. Despite its industrial woes, Peterborough has been growing. Many of the newcomers are people at or near retirement age who have sold their houses in Toronto’s inflated real estate market and replaced them with much cheaper, and sometimes superior, homes here. Yet old factory sites linger as landmarks. The Westclox clock factory, converted into condos and offices, still sits on a hill above the lift locks, though its clock tower no longer functions. The remains of the Outboard Marine Canada plant, where chain saws and Evinrude boat motors once moved along assembly lines, is now a celebrated museum devoted to canoes. Mayor Daryl Bennett is not among those who blame Nafta for Peterborough’s industrial losses, and many economists share his view. The Canadian Canoe Museum in Peterborough is on the site of the former Outboard Marine plant. The mayor said that the shift of jobs away from large factories to federal and provincial government offices, tourism, hospitals, the local university and college and smaller manufacturers had begun before the introduction of free trade in 1989. The city’s unemployment rate, he added, fluctuates, but is often near the national average. Last month it was 4.9 percent. But he, too, is dissatisfied with the current pact. The site of a demolished plant in Peterborough. Those who do manage to find something, he added, are unlikely to find jobs that include G.E.’s generous benefits or match its pay rates, which start at about 30 Canadian dollars an hour. Some of Peterborough’s industrial icons have survived. Before free trade, picture framers in Canada mostly turned to Peterboro Matboards. But as products from two large American mat board makers moved into the Canadian market after the trade deals, Peterboro failed to introduce new products or modernize its production. By 2001, the company was insolvent and had just seven employees. Then Alan Yaffe, a Toronto picture framer, stepped in, selling his business in downtown Toronto and mortgaging his house to buy the company. Since then, Peterboro has become something of a trade success story. Mr. Yaffe invested in the plant and expanded the market for its products not just in the United States, but also in Australia and Europe, particularly Russia. The factory now employs 34 people, including two who have been with Peterboro for 50 years. Still, Mr. Yaffe feels that Mexico’s low wages have sent too much work south. Whenever Peterboro Matboards advertises a job, about 100 people apply within a couple of days, he said.